Come down to East High School tonight at 6 p.m. to see what students are learning about music! Local organization LifeThruMusic will be hosting an open house tonight at 6 p.m. in the East High School auditorium. In addition to showcasing everything the students have learned through the mentoring program, it will also serve as the debut of the song "You're Special." 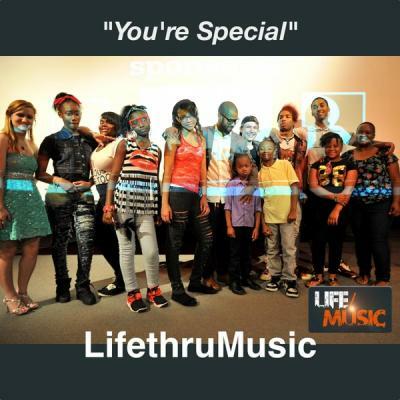 "You're Special" is a song written by students involved in the LifeThruMusic mentoring program and covers the subject of bullying. In the song, students share their stories about bullying and offer advice on how to deal with these incidents. The LifeThruMusic program does not simply give kids an outlet for sharing their bullying experiences, however. The program is an innovative music mentoring experience, giving students access to both traditional music education and the latest technological advances in the industry. LifeThruMusic also teaches participants business strategies to help them break into the music industry as leading entrepreneurs of tomorrow. But don't just take my word for it; come see the showcase tonight, Dec. 19, 6 p.m. in the East High School Auditorium. Otherwise, you can check out LifeThroughMusic here, buy the song "You're Special" on iTunes, or visit their gofundme page.